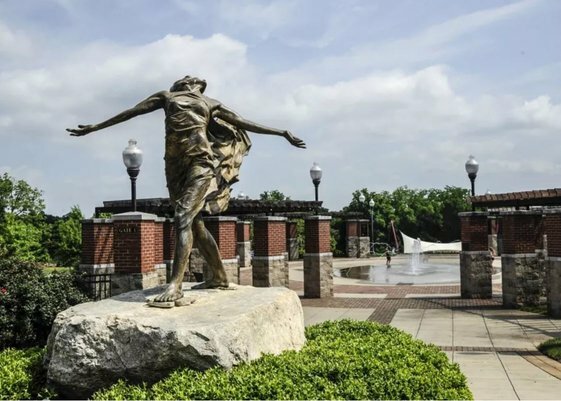 Spartanburg is in the midst of the strongest period of growth and economic expansion in its history. At the same time, it retains the quality of life and charm that has always made it a great place to raise a family. Home to some of the world's most recognized brands, one of the Southeast's best healthcare systems, a thriving arts scene, world-class parks and trails, award-winning public schools and private schools, and seven institutions of higher learning, it is no wonder the rest of the world is quickly finding out what longtime residents have always known: Spartanburg is a place where people thrive. Over the past decade, Spartanburg County has led the state of South Carolina in economic investment, as major manufacturers such as BMW, Michelin, and Toray have either expanded existing operations or chosen to locate operations in Spartanburg. Meanwhile, Downtown Spartanburg has experienced a renaissance. Hundreds of new apartments, lofts, restaurants, and other businesses have opened in Downtown Spartanburg in recent years, making it one of the region's true urban gems. And the investment and development continues. 366,399 people were counted in the first 4 months of pedestrian traffic counters. 1,789 new jobs from 21 projects, totaling over $885,310,000 in capital investment. 100,000+ people attended Panthers Training Camp, totaling over $13.2 million impact. The professionals at the W. Lewis White Company know, live in and love the Spartanburg area – and we’re happy to share our knowledge with you. Whether it's the local economy, schools, the arts, dining, or other quality of life amenities, let us know what is important to you. We can provide an insider's look at this great community we are proud to call home. We are confident you'll like what you see!